The English Football League is one of the most anticipated events in the global sporting calendar. 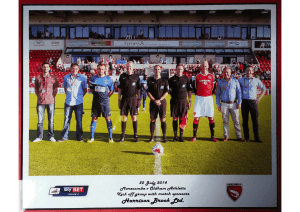 Therefore, Harrison Brook was proud to sponsor their local team Morecambe FC in their build-up game against League One opposition Oldham Athletic FC. It has been a remarkable journey for Morecambe FC after promotion to the English Football League for the first time in their history in 2007. Henceforth, they had to be at their best to push a well organized Oldham side. With this in mind, twice coming from behind to earn themselves a well deserved 2-2 draw in what was a thrilling encounter. The half-time whistle saw Oldham FC head into the dressing room a goal ahead thanks to a neat finish from Adam Lockwood. However, a flurry of three goals in eight second-half minutes saw the game turned on its head. With Shrimps captain Mark Hughes getting the first equalizer before trialist Paul Mullin settled the result with a late strike that flew in off the underside of the crossbar. 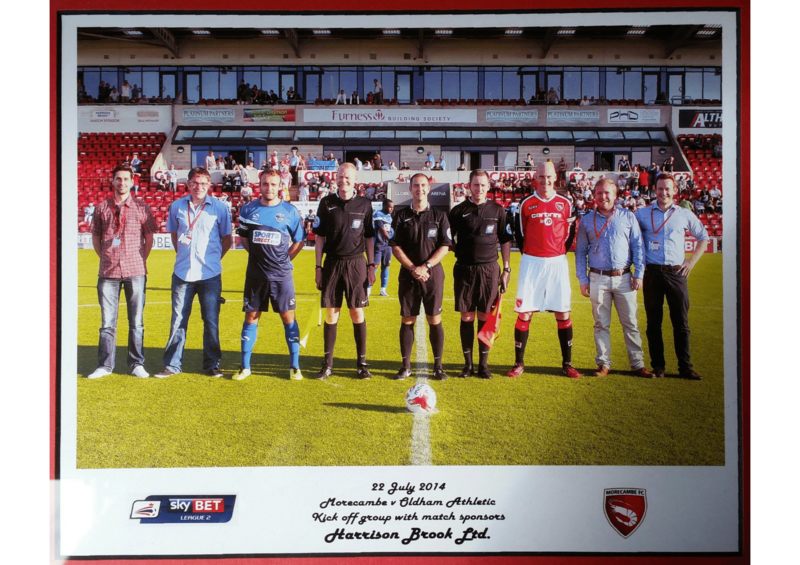 Harrison Brook was honored to be a part of the English Football League and support their local footballing community. However, it is even more satisfying to see the clubs hard work paying off. Harrison Brook has enjoyed sitting at the top of the League Two table with Morecambe FC after winning all three of their opening league fixtures. Who know’s what the English Football League journey may hold next for Morecambe FC. However, Harrison Brook looks forward to supporting their Shrimps all of the way!